Staying on the bleeding edge of mobile technology has its costs. It makes sense that all of the latest mobile phones on the market — those devices which are positively stuffed to the brim with cutting-edge technology — would come with the absolute latest software, right? As it turns out, no; not really. Many phone users, particularly those of the Android persuasion, might be surprised to find that their up-to-the-minute device is running on last month's or even last year's operating system. The practice is not unusual, and it's not nonsensical, either; quite the opposite, frankly. There's good reason why these phones come loaded with older operating systems, and much of it boils down to cost. There's a concept in economic theory referred to as opportunity cost, and it explores the idea of value relative to cost when making any given decision. The concept itself is rather complicated, but the bottom line in this instance is that any business, phone manufacturer or otherwise, must choose one path from a pool of potential paths when deciding what to do with their resources. The given goal as such would be to make the least wasteful decision given all the resources they've allocated so far. To put it another way, businesses have to make the most out of what resources they already have, and that encompasses not only the time and money put into components and development or what-have-you, but also the research and understanding it takes to make those components best work toward the company's goals. Naturally, the in-a-nutshell approach doesn't tell the whole story, and in the case of phone manufacturers, things are understandbly more complicated. Android's software licensing isn't what many in the industry might call conducive to frequent platform updates, and all of those smart people behind mobile phone development aren't always keen to leave their previous work behind just in order to jump on some new standard that was recently introduced. It's much easier — and obviously much cheaper — to keep working within already-understood parameters, particularly when the potential software changes provide only for incremental or otherwise insubstantial benefits. It's likely that most Android consumers have a manufacturer they prefer, and each of those manufacturers tend to have their own sort of spin on Android — the ability to customize an OS to a given phone is one of the software's biggest benefits, and one of the main reasons why Android is such a dominant force in the market today. While that means that major companies like HTC or Samsung can tailor their hardware to suit the software and vice-versa, it also means that those companies must put development time into the latest stable Android build they have a license to. More often than not, that build won't be the latest Android version. That's not to say that the trend isn't up, of course. As the phone market grows, so does Android. Adoption and use of any given operating system allows it to become more widespread, which means that tomorrow's fresh release could very well be next year's common build. The question for the consumer, then, is just how cutting-edge they want to go. There's plenty of tech-savvy consumers in the world who want the absolute latest hardware and software, and many phone manufacturers build their biggest and baddest flagship devices with those tyypes in mind. Samsung's upcoming Galaxy S8 is set to release next month, and it will very likely be running Nougat, the latest version of Android that debuted only last August. That said, it's unlikely that it will run Nougat version 7.1.1, the latest official build, because the development team has been too busy putting the final touches on the work they've already done with the base build. Given time, however, it's very likely that Galaxy S8 users will be among the first to check out 7.1.1 and future updates beyond that. For those with perhaps more simplified tastes, there's still nothing wrong with the older flavors of Android. 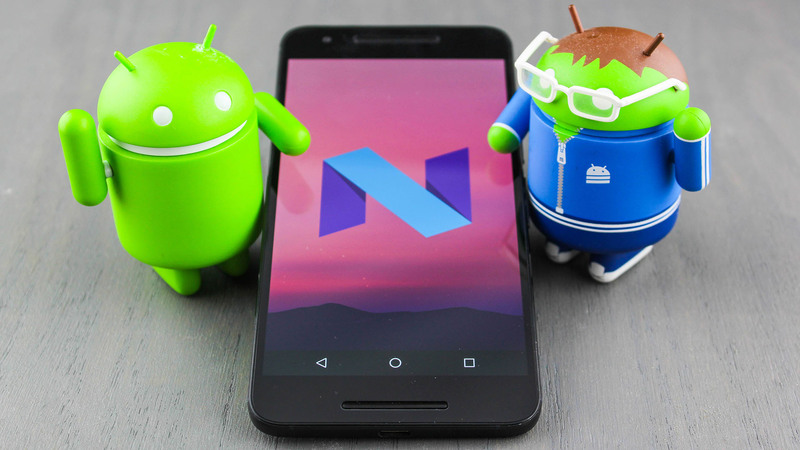 Many phones on the market today are running on Android 6, codenamed Marshmallow, an operating system that released back in October of 2015. They aren't old phones, either; HTC's U Play, Samsung's Galaxy C7 Pro, and Motorola's Moto M all released within the last three months, and all three shipped from the factory running on Android 6.0.1. There's a very real cost to having the absolute latest mobile technology possible, and that applies to both the manufacturer and the end-level consumer. While it might be disappointing to find that the latest phones don't run the absolute latest software, it isn't unusual, and it certainly doesn't mean the phones are any lesser for it — if anything, it means that more time and more consideration have been put into those devices, which should make them more appealing to consumers who want to stay current without breaking the bank.